We have just released an update to our guide to The Stone Guard encounter, adding a heroic mode section. Naturally, as with all of our guides, we will continue to update and improve this section (and the rest of the guide) whenever new information is brought to our attention. 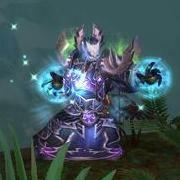 Heroic mode updates to Feng the Accursed and Gara'jal the Spiritbinder will follow over the next couple of days.